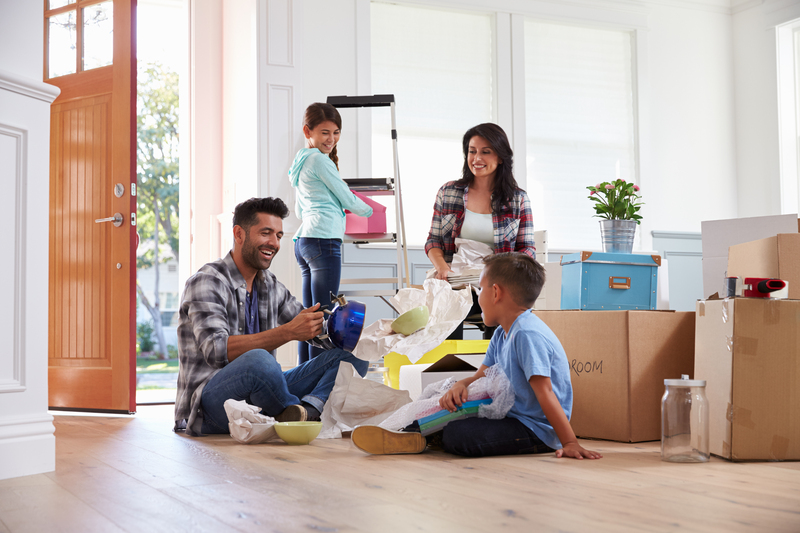 First things to do in your new home! One of the first things people do is repaint when they move to a new home. However, we don’t realize there are other things we should do to keep our families safe and healthy. Here are some things that should be done right away. While this may seem like an obvious thing to do it will help keep theft at bay. When you move into a new place you never know who has been given keys and has access to the home. Yes, this is likely something you did before you bought the house. Nothing worse than buying a home with water leaks. However, do a more thorough check. Check each faucet for signs of leaks, check under the sinks and also check the water heater. Toilets can leak to draining fresh water for no reason costing you money unnecessarily. One quick test you can do is this… Check your water metre, don’t use any water for the next two hours and then check the metre again. If the metre has moved you have a leak. Having someone come into clean your carpets and ducts will give your home a fresh start and improve air quality for your family. This is especially important if you have anyone with respiratory conditions. One more thing you should do is change the furnace filter and then plan to change it every three months. Cabinets are very important to wipe clean before loading them up with dishes and toiletries. Wiping walls after the ducts have been cleaned will help reduce dust in the air and just give a fresh smell. Mice and rats, ants and spiders will find a home in any place that might have stood empty for any period of time. All the critters, especially rodents carry disease with them and ridding your new home of any unwanted guests will be an important part of keeping everyone healthy. If you notice signs of rodents, you can hire an exterminator or set up traps yourself. Once you have caught the critter you might want to keep the traps active for a few weeks to ensure that others are not present. You can arrange for the exterminators to make weekly or monthly inspections to ensure the critters are not coming back. Check light fixtures for burnt out bulbs and check all plugins for signs of heat. Electrical fires are quite dangerous and things get damaged in moving and over time they simply wear. Most cases there will be no problems but it only takes a few minutes to walk through the house and check this before putting furniture in front of the plugins. If you find a light fixture needs changing or a plugin that needs a little repair you might want to hire and electrician. Check the breaker box for signs of heat, fuses may trip when they are old and worn, if the fuses in the box are very old, it might be wise to consult an electrician on how to update the fuses. Water Valve: Knowing where the water valve for a quick shut off in an emergency is important. Simply locate it and turn it on and off to ensure that it is working. Some of these things will take your some time while others just take a few minutes but are well worth it. These precautions will make you and your loved ones feel more comfortable and secure in your new home.